This awesome bundle of sight word worksheets will get your kids recognizing sight words in no time. 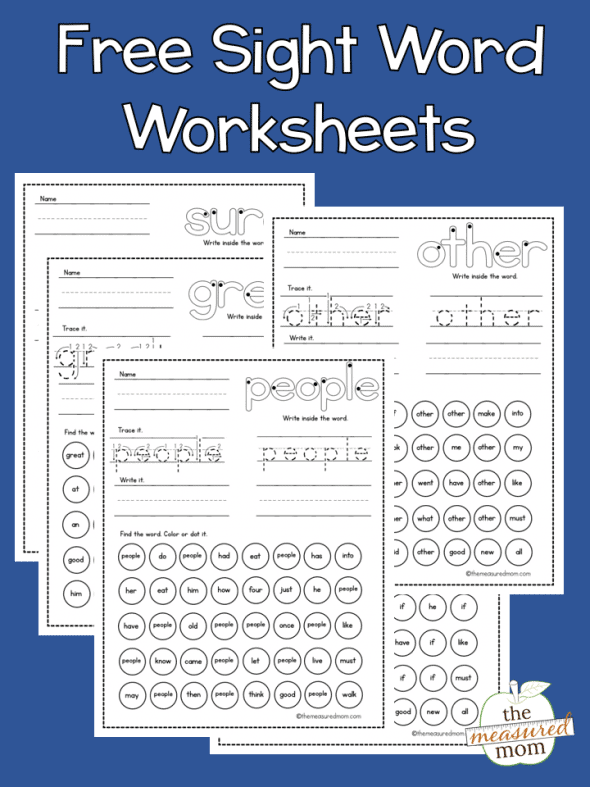 These worksheets are no-prep ways to reinforce common sight words for your homeschooler. You can easily help your kids use sight words in context. Although there are many ways to teach about sight words that are hands-on fun, these worksheets are a great way to reinforce what they have learned or the words they have learned. Be flexible with your lessons. Your kids don’t have to finish the whole spreadsheet. Have them do what they can. Use a mix of worksheets. Change things up a bit at times. Grab your FREE printable sight word worksheets from The Measured Mom. 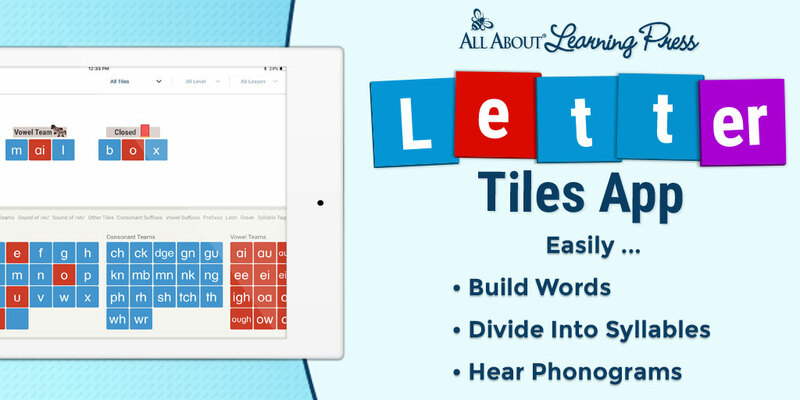 This letter tile app helps kids build up words with ease (and fun).